A small and uncomplicated tote bag for everyday excursions around town. 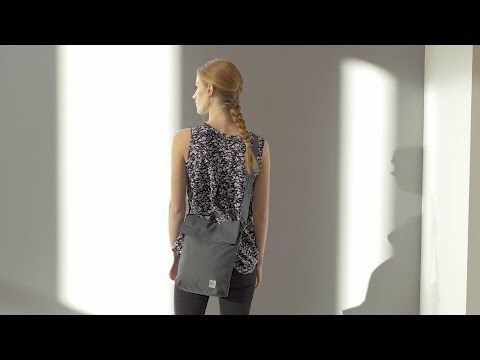 Long strap lets you wear it across your body for comfort and security. Magnetic closure is fast and hassle-free. Made of water resistant and lightweight 200-denier ripstop nylon. Adjustable webbing shoulder strap for cross body carrying. Fold-over magnetic closure on main compartment. 2 external pockets (one zippered, one with a magnetic closure) hold small essentials.